Our clients can avail a vast range of Grass Paver Tile Moulds processed by market leading vendors. 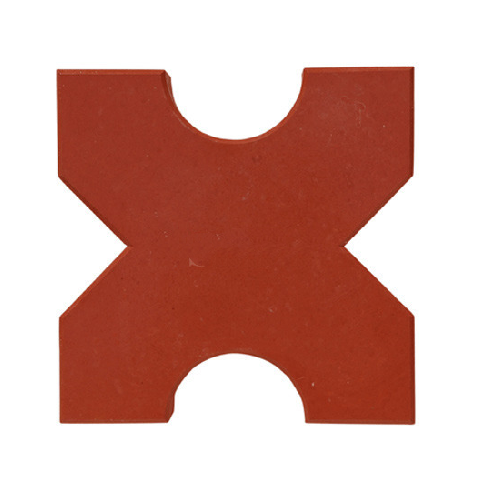 These tiles molds are made from a very high-quality raw material which ensures high durability at its user end. The variegated requirements of markets have been taken into account while manufacturing our high-grade products. Incorporated in the year of 2006, we "Sarla Moulds Plast" are one of the prominent and reliable organizations of the industry involved in Manufacturing and Exporting a vast assortment of Moulds and Chemicals. Under this products array, we are offering Designer Tiles Moulds, Floor Designer Tiles Moulds, and Tile Moulds. Our provided products are made by taking optimum quality products under highly controlled environments. Our offered products are highly demanded their attractive design, accurate composition, and durability. With these prospects we have attained pinnacle success in this domain thus, attaining us vast clientele base. We have established a highly advanced infrastructure unit. We adopt advanced instrumentation and process control measure for a manufacturing process of providing products which resulted into higher yield and optimum quality besides providing safer and cleaner environment for our work force. We are offering these products as our client’s detailed demands and needs to suit their requirements. Apart from this, we are exporting our products in South America, US, Bangladesh, Africa, UAE, Indonesia, and Sri Lanka.